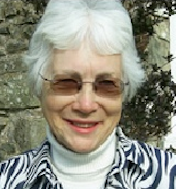 Val is a retired teacher in the secondary and FE sectors; She was a volunteer for Oxfam for many years campaigning on development issues and Fair Trade. In 2006 she became Secretary of Dolen Ffermio, dealing with all the administration. Val produces publicity, welcomes new members, sends out the constitution and regularly updates members. Val is the point of contact for the Charity Commission, updates their website and submits the annual report and accounts. As a member of the NOVC sub group Val oversees the twice yearly budgets, data collection and reporting, communication with Moses and Ruth Ekoi, secondary school sponsorship and organising meetings of the group.